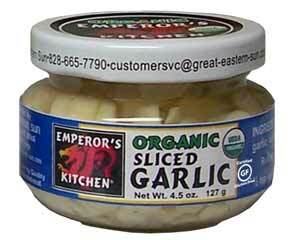 Emperor’s Kitchen Organic Sliced Garlic offers ready-to-use convenience to the busy home cook. 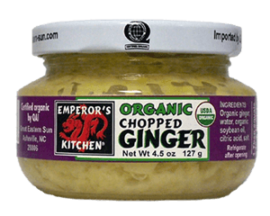 It is perfect for stir-fries, sautées, soups, and even salads. 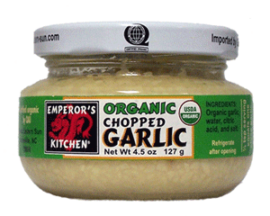 Use Emperor’s Kitchen Organic Sliced Garlic whenever you want a garlic-infused dish but also the occasional bite of pure garlic. 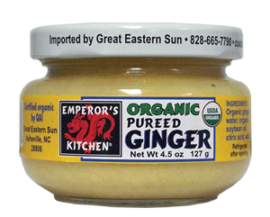 No fuss, no mess, no odors, and no clean-up – just add to your favorite dishes right out of the jar! 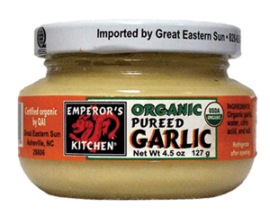 INGREDIENTS: Organic garlic, water, citric acid, salt.